The popularity of low-fare airlines means they now account for almost two in five of all flights in Europe, according to the latest research. Travel industry technology company Amadeus revealed that budget carriers took a 38% share of European flight traffic last year - up on the 36.5% figure recorded in 2011. Europe has the biggest low-cost carrier penetration in the world in terms of market share, higher than the likes of North America (30.2%) and Asia (18.6%). 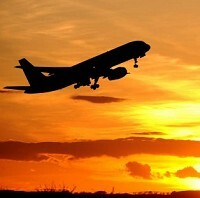 Money that people save on flights can be spent on other travel necessities such as travel insurance. The figures also showed that Europe was placed second last year in terms of air passengers, with 680 million starting their journeys in the region. Asia, meanwhile, took the number one spot, with 787 million air passengers in 2012. A total of 2.48 billion passengers travelled by air last year overall, up 5% on the 2011 figure, as just 3% of all worldwide routes accounted for 85% of all flights.